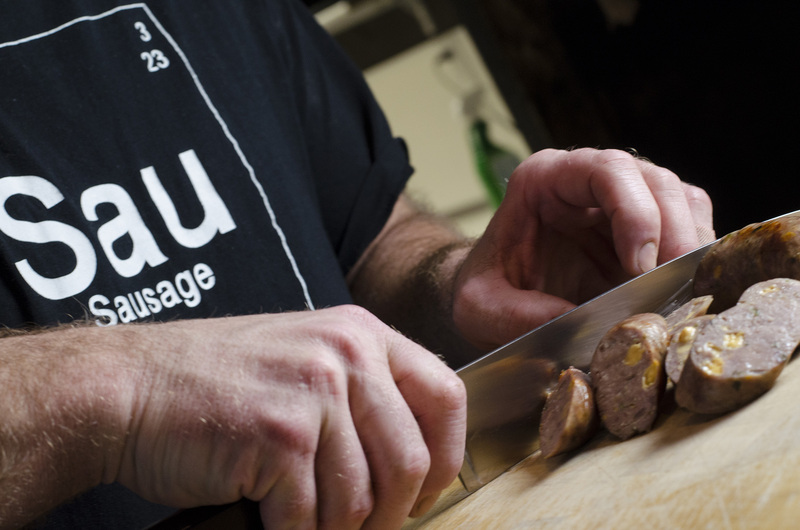 Windsor’s own master sausage maker is at it again with another work of art in meat form. Motownphilly’s back again! OK, it has nothing to do with Boyz II Men and it’s actually the first time he’s ever created it, but, Robbie’s Gourmet Sausage Co. is releasing a limited edition Philly Cheese Steak sausage. The sausage is a mixture of beef and pork with sauteed onions, green peppers and so much cheese it will make your mother cry. Sausages always on my mind. It’ll be available starting Saturday, March 17, 2018, but, get there early. The last two limited edition sausages he made – the Chicken Gyro and the B.F.D. – sold out a couple hours after the doors opened. Oh, by the way. The B.F.D. is also back. You might want to stock up on those, too.